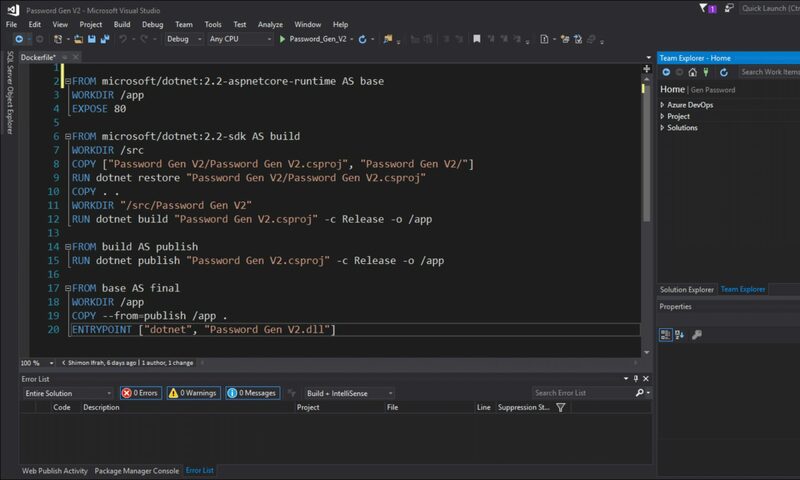 In this article, I will show you how to create a Windows Container in Microsoft Azure using Azure App Service (preview) service that was released as a public preview today. The new feature was just released as a public preview and I decided to try and show you how easy it is to create a Windows Container in Azure without settings up a Container host \ cluster. The new service now brings Windows Containers to Microsoft Azure like AKS by simplifying the deployment of containers without installing a Container host as a Virtual Machine. Deploy images directory from Docker Hub, Azure Container Registry or private registry. I have to say that I was excited to see this service going public because up until now deploying Windows Containers was a process that involved many steps. I will create my Web App and specify Windows (Preview) Containers as the OS which will allow me to use Windows Containers. From the App Service plan, I will select a plan, In my case, I will PC2 which gives me 2x Cores and 8GB of RAM memory. Because this is a new feature Azure gives 50% discount on Windows Container for a limited time. From the container Settings page, I will select the image location and as you can see I have a few options. After I click on the container it opens my browser and shows me the IIS welcome page. In my next article, I will show you how to connect to a Windows Container using Win-RM.